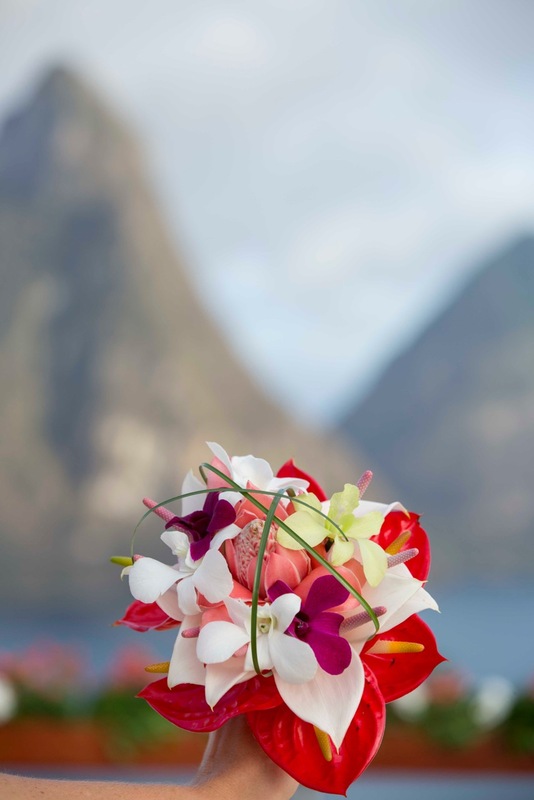 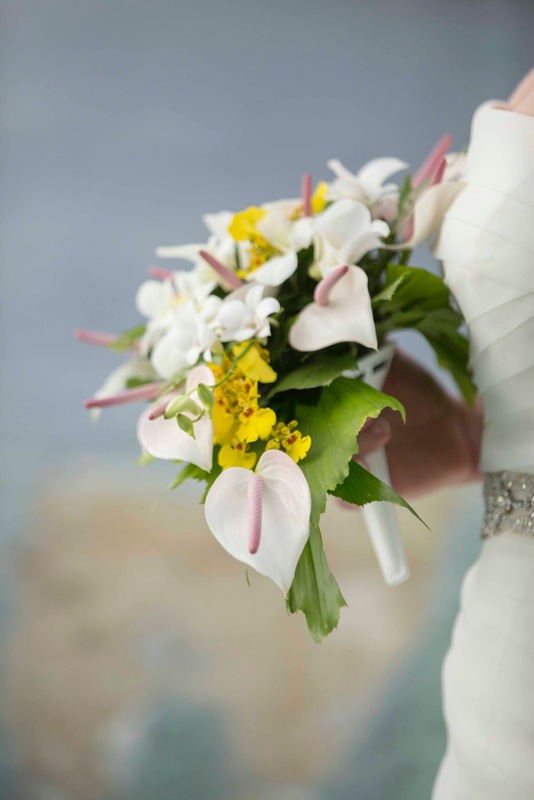 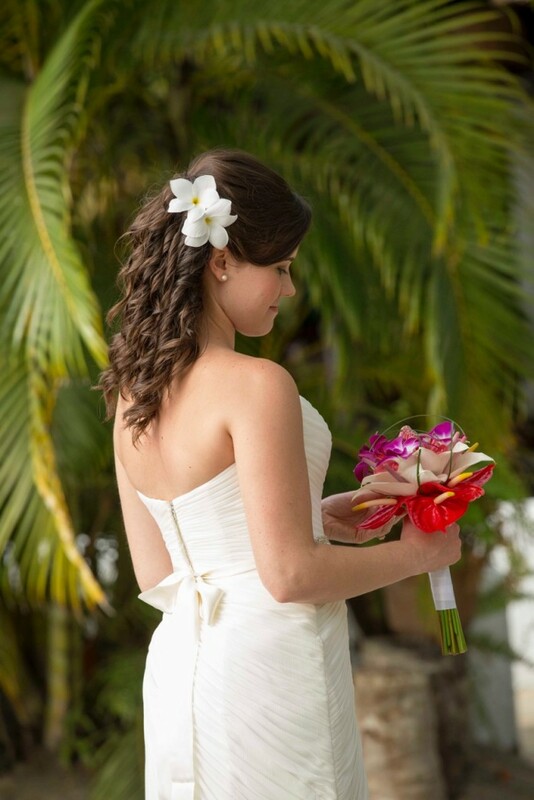 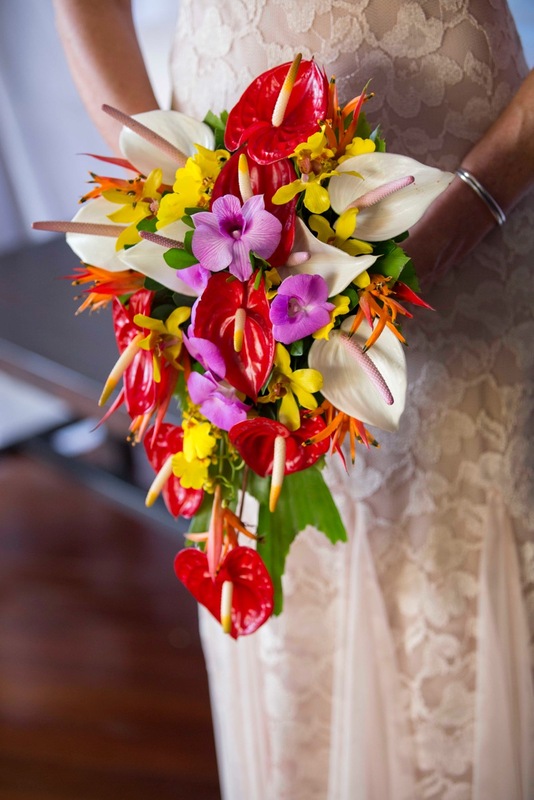 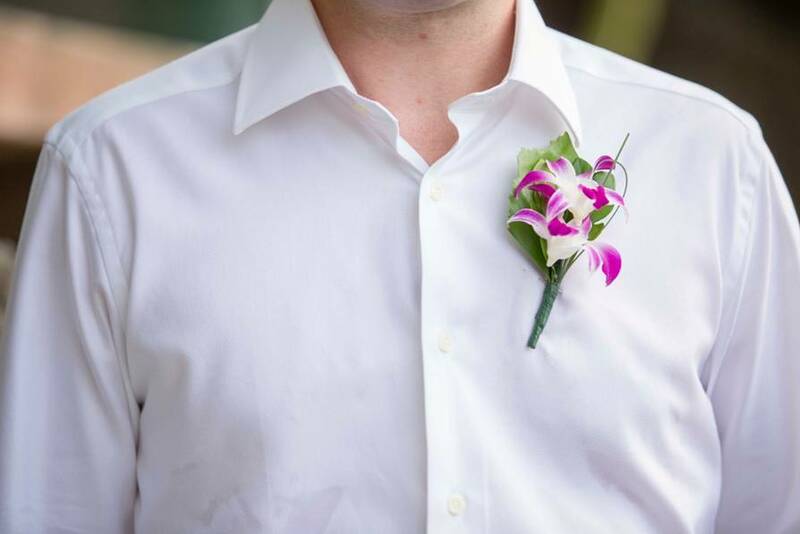 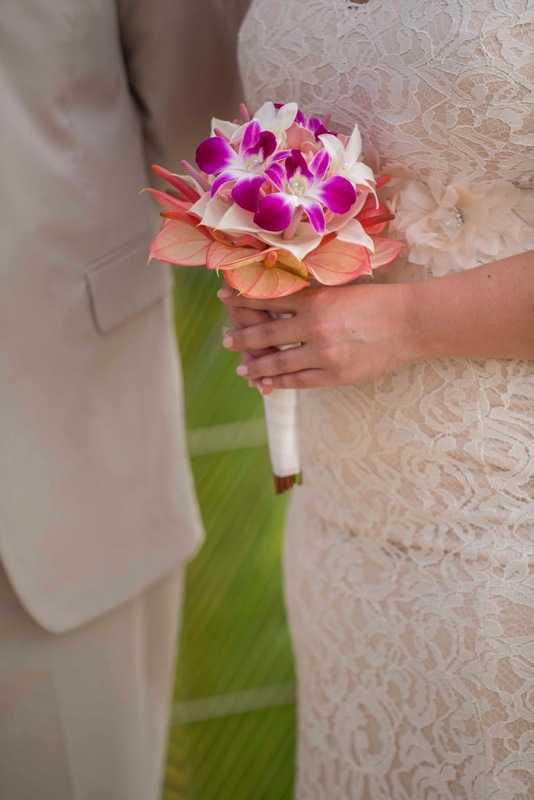 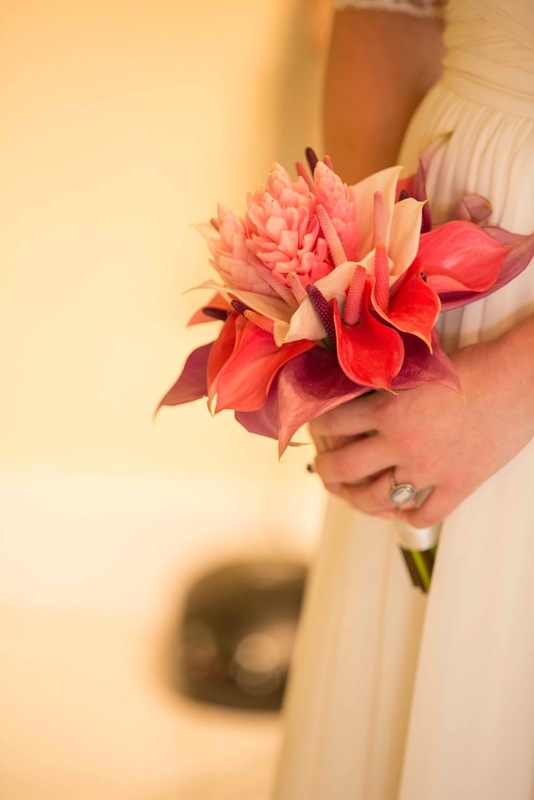 We work closely with a local florist who can custom make bridal bouquets. 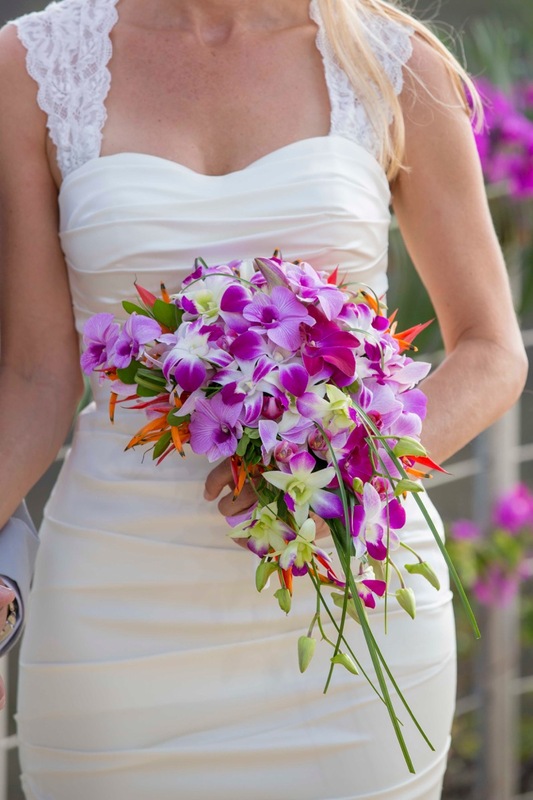 This is a custom made Cascading bouquet consisting of purple and white dendrobium orchids with birds of paradise on the outside. 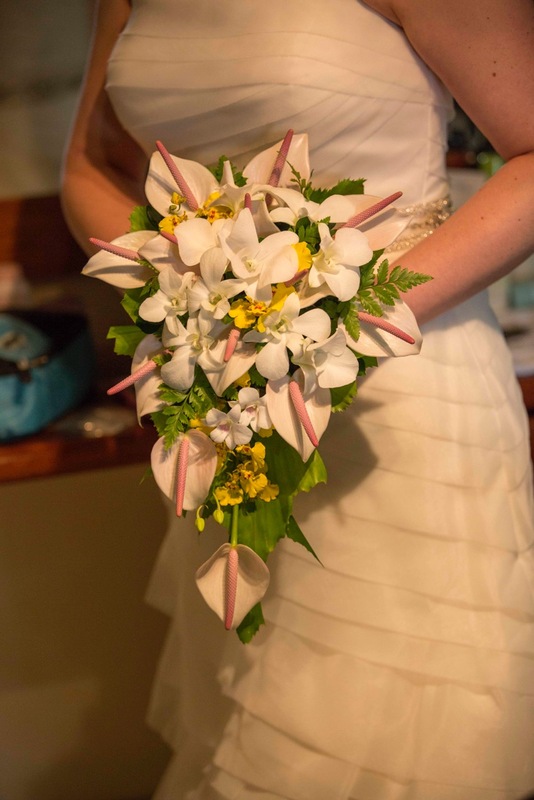 The bouquets above are custom made cascading bouquets consisting of white dendorbium orchids with white anthorium surrounding the outside with a hint of yellow .